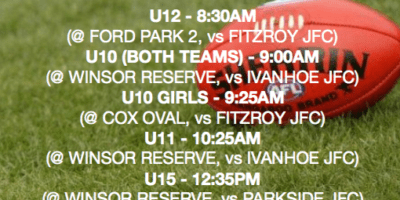 Here is the full fixture for this weeks round of practise matches – including, for the first time in our 50 year history, a team playing in the YJFL Girls competition. 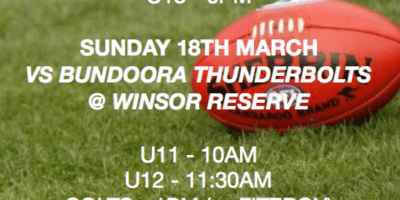 Good luck to our U10 Girls on their football debut! Check here for all the updates on the first round of practise matches.